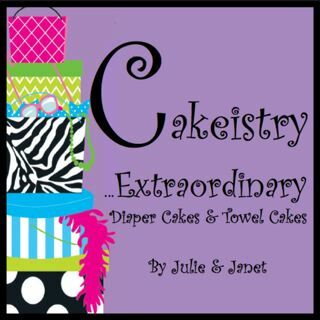 Cakeistry...Extraordinary Diaper Cakes, Towel Cakes & Unique Gifts! 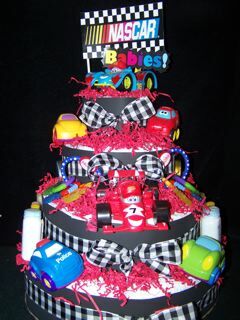 At Cakeistry we design and create our unique diaper cakes at competitive prices, quality materials, and great customer service in mind. Our diaper cakes are NOT mass produced. They are individually hand crafted and assembled with care. We are passionate about what we do and our quality and attention to detail is superior. We get creative with our themes and it shows! 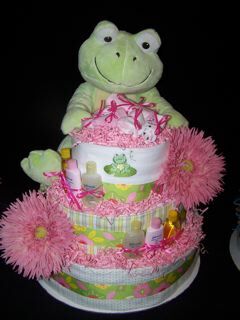 All of our diaper cakes are custom made one of kind creations. They are not mass produced so you can be sure you are giving a unique gift! 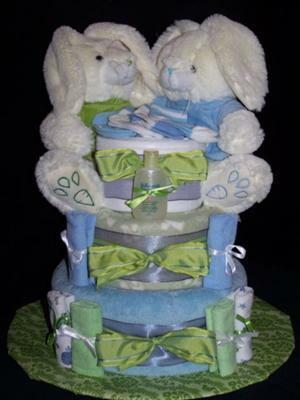 All diaper cakes can be made with larger diapers to accommodate older children. These cakes are fantastic! Love your website! I love that none of your cakes are the same, and they all have their own thing goin' on. :) Variety is everything! Keep up the great work!